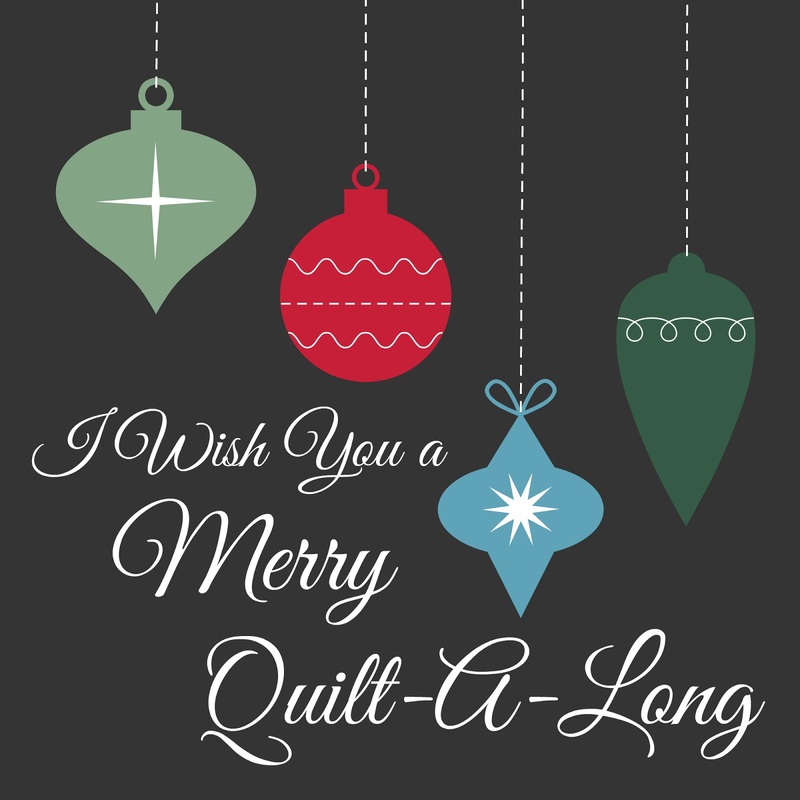 It's time for the fifth block release in the I Wish You a Merry Quilt Along! 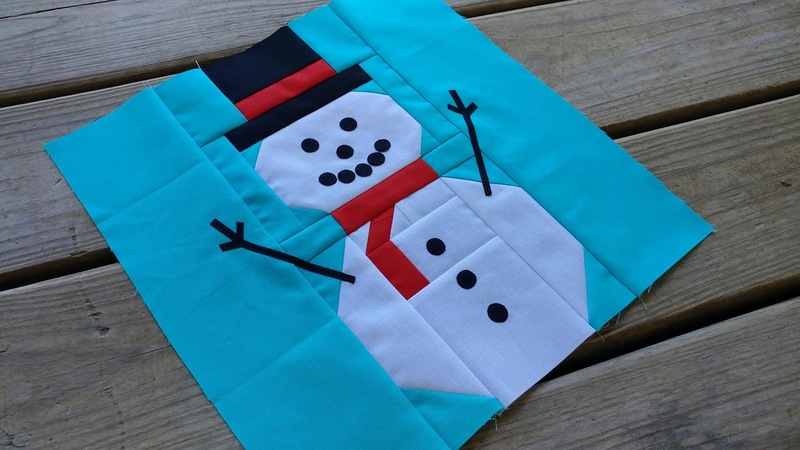 This week's block is an adorable snowman block made by Sherry of Powered by Quilting. You can find the tutorial and pattern for the block on her blog here. 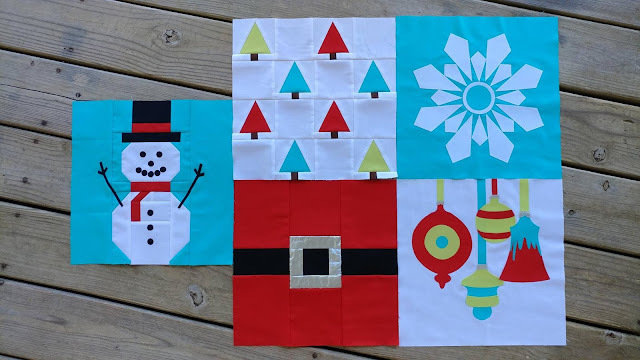 I love how this snowman block comes together! 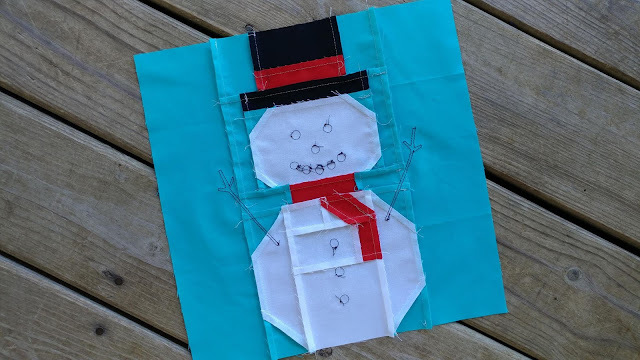 The main part of the snowman is traditionally pieced, then you can add applique or embellishments to give your snowman some personality! 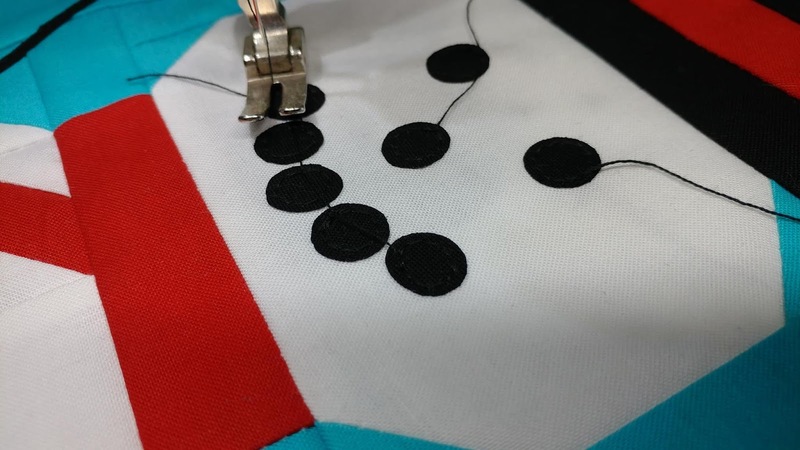 I definitely recommend making sure your seam allowance is a true scant quarter before stitching the block. To check to see if your seam allowance is correct, cut two 2" squares from scrap fabric. Sew squares right sides together along one side using what you think is a scant 1/4" (a needle width less than 1/4"). Press. The finished piece should measure 3 1/2" long exactly. If it's less than 3 1/2", your seam allowance is too large. If it's more than 3 1/2", your seam allowance is too small. 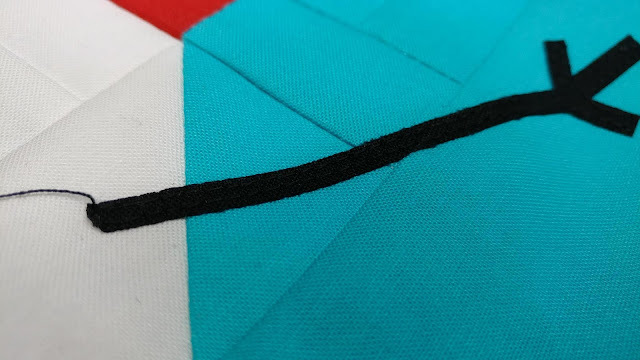 Cut two new 2" squares from scrap fabric and try again until you are confident your seams will be a scant 1/4" every time. I used Kona Breakers for the background of my block. The snowman is Moda Bella 98. Kona Lipstick and Kona Black are the other two colors in this block. I used raw edge applique to add the arms and coal buttons, eyes, nose, and mouth. 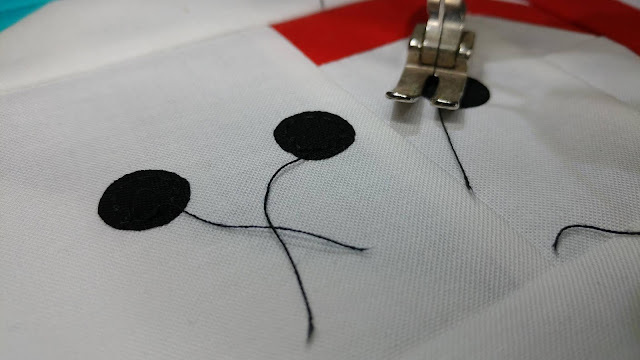 I used Heat-N-Bond Lite to adhere the pieces, then I stitched just inside the raw edge of each piece with black 50wt Aurifil thread #2692. The block finishes at exactly 12 1/2" inches, so no need to trim it once finished. As each block is added to the group, I love my color palette more and more! Be sure to check out the other hosts' versions of this block too! There are many creative ideas! Remember, you can jump into the QAL at any time! You can always go back and make the previous blocks or just make the blocks that you like! 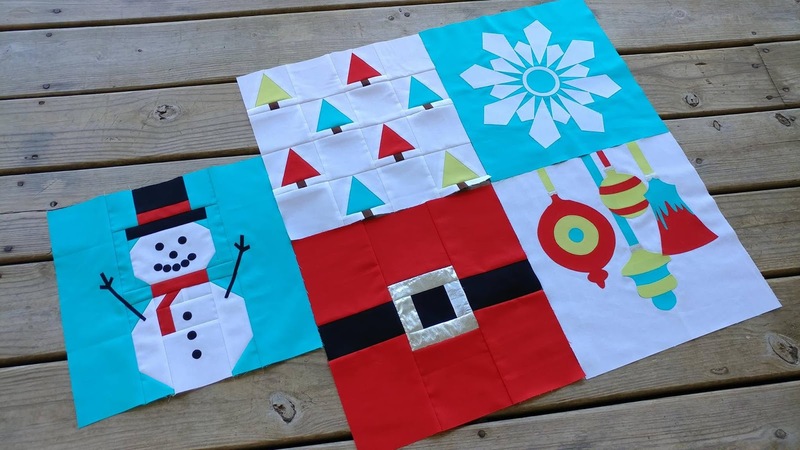 Make a whole quilt using just a single block or make Christmas pillows for the whole family! There will be an amazing grand prize giveaway for those that complete a quilt top using all twelve blocks by January 16th! Be sure to share a picture of your finished snowman block before September 26th to be entered to win prizes! 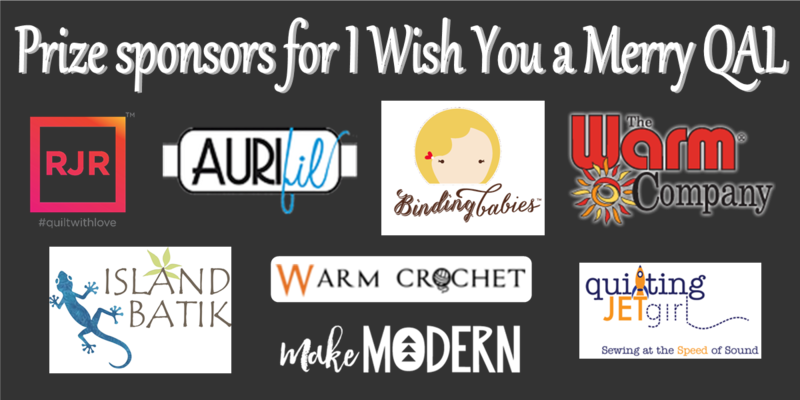 You can post a picture in the Facebook group, on Instagram using #iwishyouamerryqal, or link up to the linky party at the bottom of Sherry's tutorial post. 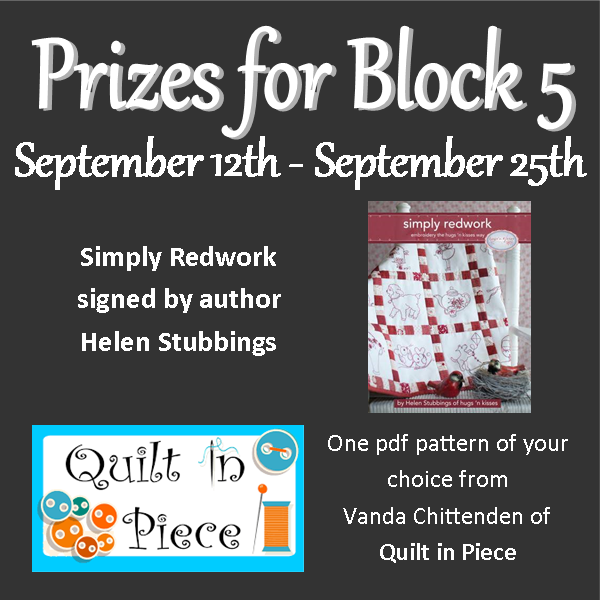 The prizes for Block 5 are a signed copy of Simply Redwork by Helen Stubbings AND a pattern of your choice from Vanda Chittendon of Quilt in Piece! All prizes during the QAL will be open to participants worldwide! 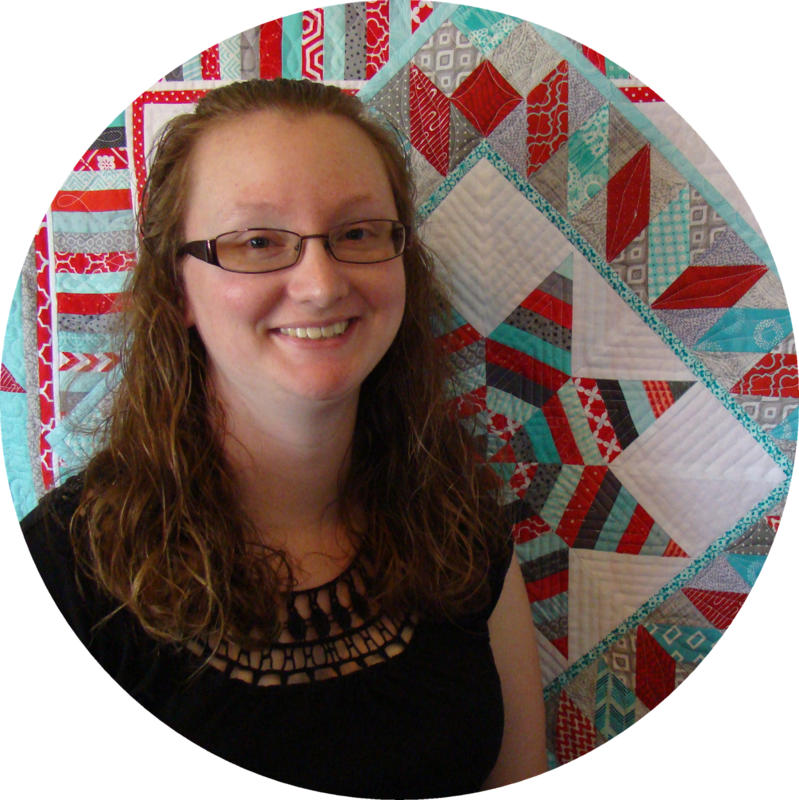 Linking up with Finish It Up Friday at Crazy Mom Quilts, Can I Get a Whoop Whoop? 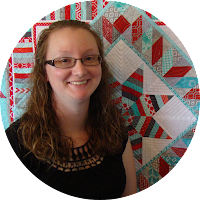 at Confessions of a Fabric Addict, and Finished or Not Friday at Busy Hands Quilts. I too, love your color palate. It's very fresh and modern. These are such cute blocks. What a happy guy! He looks terrific alongside the rest of the blocks. That blue background makes me think of sunny winter days with gorgeous blue skies building snowmen as a kid. Love how the blocks look together. Once again I'm taken by the drama of using solids. Love your blocks! 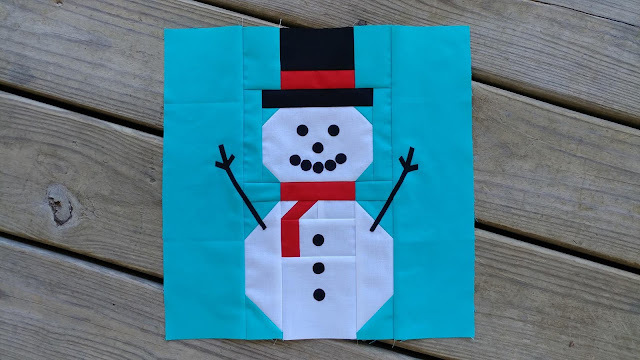 I love all your colors and your snowman is adorable, good idea for the face. Your blocks look amazing together, and your applique is perfect! Hi Laura, your Snowman looks awesome, love his smile. PS Your photos are fantastic. Super cute snowman! This is going to be a great quilt.